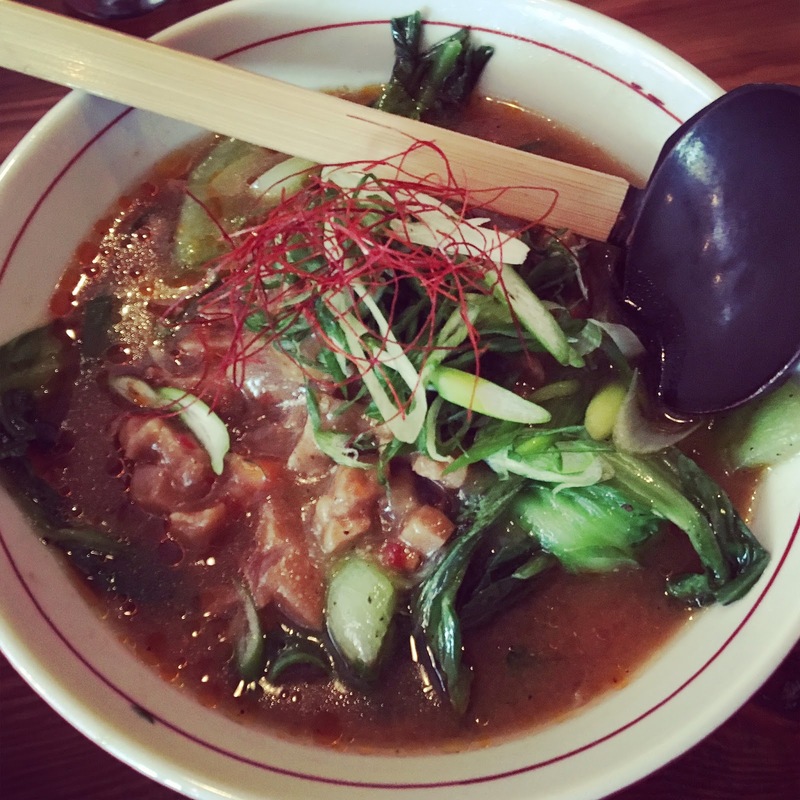 given my love for various asian soups, it's surprising how long it took me to get over to ramen takeya in the west loop ... especially since it opened last march. aka, still chilly soup weather & preggo cravings at an all time high. instead, the chi city vegan baby & i picked up a couple of coworkers (hi, tnaya & duarte!) during my maternity leave & grabbed some lunch there on a rainy, fall-to-winter day. anyway, ramen takeya is the sister restaurant of wasabi in logan square. they specialize in chicken broth, not applicable to us. what does matter is that like wasabi, ramen takeya has a vegan ramen with a perma-spot on their menu. double thumbs up emoji! upton's seitan ragu, mushroom & seaweed broth, buckwheat noodles, scallions, sesame, bok choy, chili oil & chili threads. love me some vegan ramen. everything about this was delicious. perfect winter comfort food. ramen takeya is just a few blocks from my office ... as winter creeps in, i know it will become a lunch staple!